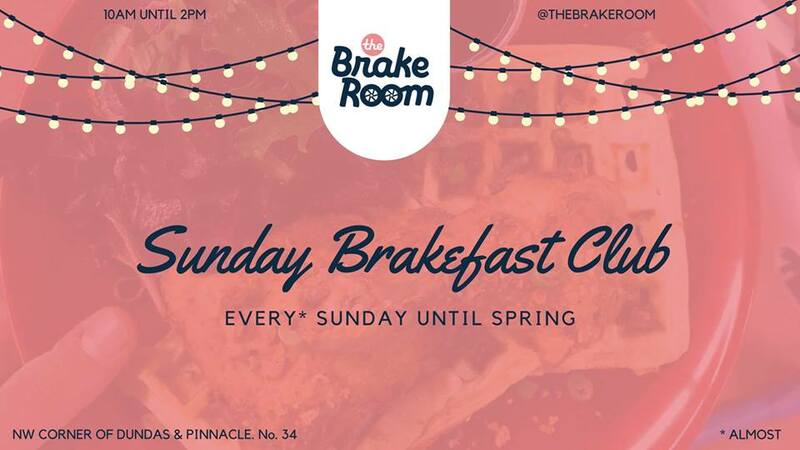 Take the work out of your weekends with the “Sunday Brakefast Club” brunch series at The Brake Room in downtown Belleville ? Every Sunday starting at 10 am we bring a local chef to your table to put a twist on that traditional eggs + bacon brekky. Menu releases are posted weekly on our Facebook page, and aim to include veggie/vegan + kid-friendly (BYO-highchair) options, as well as take-out. Some food vendors may be cash only ~ check out the weekly menu for updates. Seating is on a first come, first served basis. While you may experience a slight wait time for food, drinks can be ordered from the bar right away ☕ Regular coffee service + pastries available throughout the day.